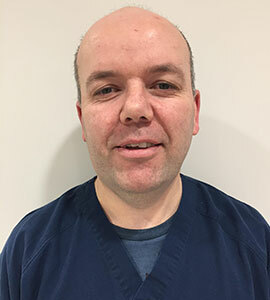 Seán qualified from Trinity College in 2004 and has since worked in private practices in Ireland. He has completed courses in root canal treatment and advanced restorative dentistry in Ireland, Harley Street and the United States. His composite veneers are what makes him stand out from the rest with his artistic flair and the technical skills. He will have you smiling from ear to ear on the way out with his witty humour and also his make-over smiles.